The LDS Church blocks this site (MormonThink.com) from all of their chapels. Try to access it in your local ward building using their wifi and you will see this is the case. The password for LDS chapels is well known. It is "pioneer47". 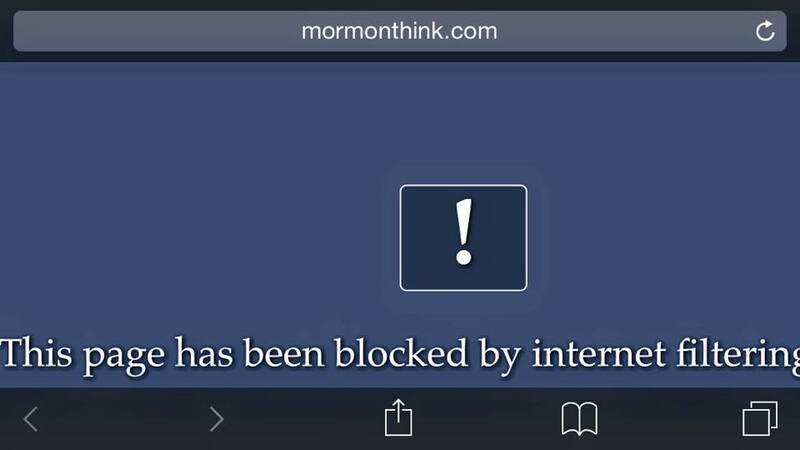 Why does the Church only block MormonThink from its wifi? We have not seen any other Mormon-themed website blocked by the Church, not even from people excommunicated like John Dehlin's mormonstories website or the Tanner's UTLM site. Also, the iPads the missionaries use have filters on them to block all websites not approved by the Church. Using their iPads they cannot access sites like MormonThink or even YouTube. FaceBook seems to be the only non-LDS site accessible to missionaries. However, many missionaries 'jailbreak' their iPads so they can have more freedom but they risk getting caught by their Mission President. It is obvious the LDS Church does not want members to look at different and more-accurate accounts of LDS history other than the Church teaches.